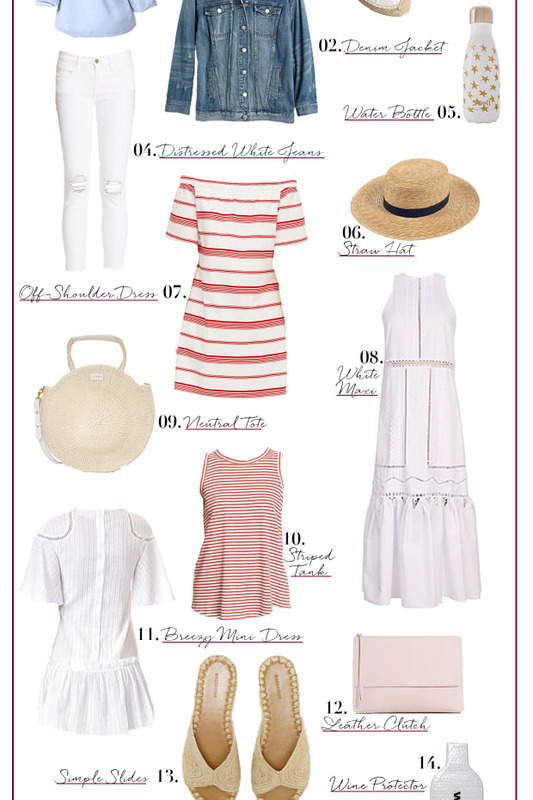 This post is brought to you by Johnson & Johnson Consumer Inc.
As soon as G and I booked our flights to Paris, I began preparing my packing list. While I wasn&apos;t intimidated or overwhelmed by the clothing choices to consider, it was quite a different story for footwear. 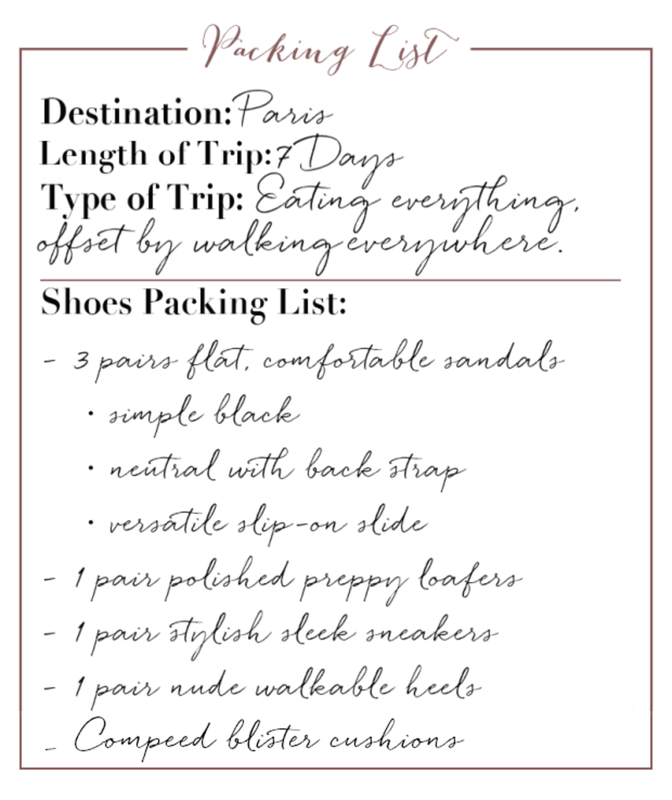 Shoes tend to be a trickier category for trips in general (it&apos;s easy to bring too many options, too few, or all the wrong kinds), and our Paris vacation had a huge caveat—we plan to traverse the city by foot for miles each day. We committed to doing this and organized our week&apos;s itinerary around this decision primarily to offset the insane amount of pastries we intend to consume. Comfort and walkability will be essential for an enjoyable experience—and one that doesn&apos;t leave us 20 pounds heavier. That said, Paris is arguably the chicest city in the world, so packing a pair of utilitarian gym sneakers wasn&apos;t going to cut it. On our honeymoon in Italy, I both overdid it on impractical shoes and on the flip side, occasionally caved to dressing like a schlub in the name of comfort. This time around I realize there&apos;s nothing cool about stopping at a sidewalk cafe to sip wine and eat pizza in yoga leggings and running shoes. After much deliberation, research, and consulting with friends who have explored Europe on foot, I came up with a shoe list I&apos;m confident in and some tips along the way. Here&apos;s how I&apos;ve approached footwear for this trip. Because it&apos;s going to be hot, I needed a few pairs of breathable sandals so my toes aren&apos;t stuck sweating in closed-toed shoes each day. 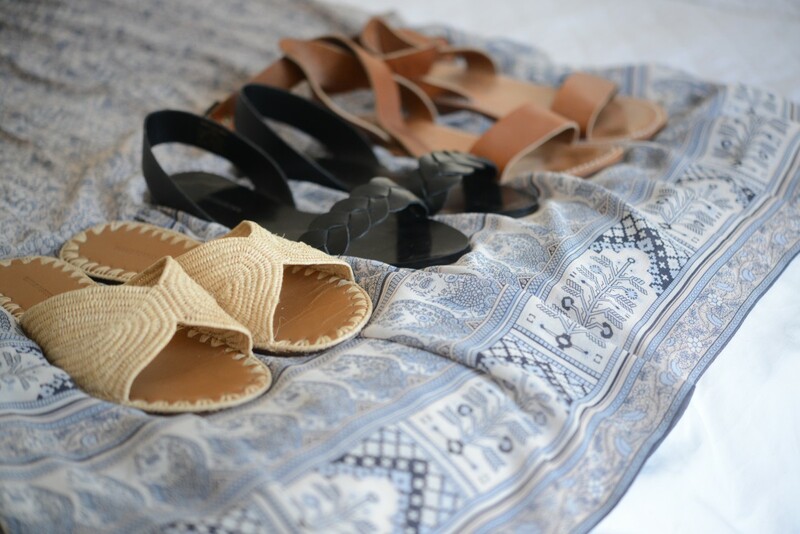 Three pairs of neutral sandals may seem like a lot, or repetitive, but each pair serves a different purpose and they don&apos;t take up a lot of room in a suitcase. 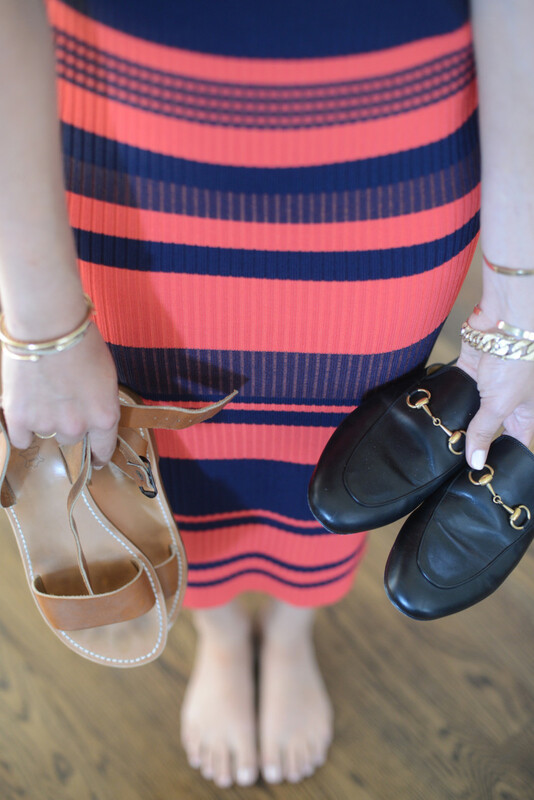 I packed one pair of flat, chic loafers to elevate the casual basics I&apos;ll be bringing along—they add preppy polish to even a pair of denim shorts. These are the shoes I&apos;ll be wearing to the airport because they&apos;re sturdy, comfortable, stylish, and easy to slip on and off. Lastly, I packed one pair of understated white sneakers and one pair of walkable heels. Keep reading for more details in the tips below. For every shoe I chose, I made sure to try them on in the late afternoon—when feet are most swollen—and spend a few hours in them. You have to walk around, run some errands, and be really honest with yourself about discomfort: Is the tongue digging into the top of your foot? Are the sides rubbing against your ankles? Is the back chafing your heel? If anything is bothering you when you&apos;re just walking around the house or running local errands, those are not the shoes that are going to serve you well on a walking tour of Paris. Using this trick, I actually eliminated a few rounds of shoes before settling on this final group. There is nothing worse than ruining your comfort and mobility on day-one of a trip with bad blisters that render your feet useless. I liken it to getting a bad sunburn on the first day of a beach vacation—the rest of the time you&apos;re spent mildly miserable, accommodating your physical discomfort instead of doing and wearing the things you want. For blisters, preparation is key. 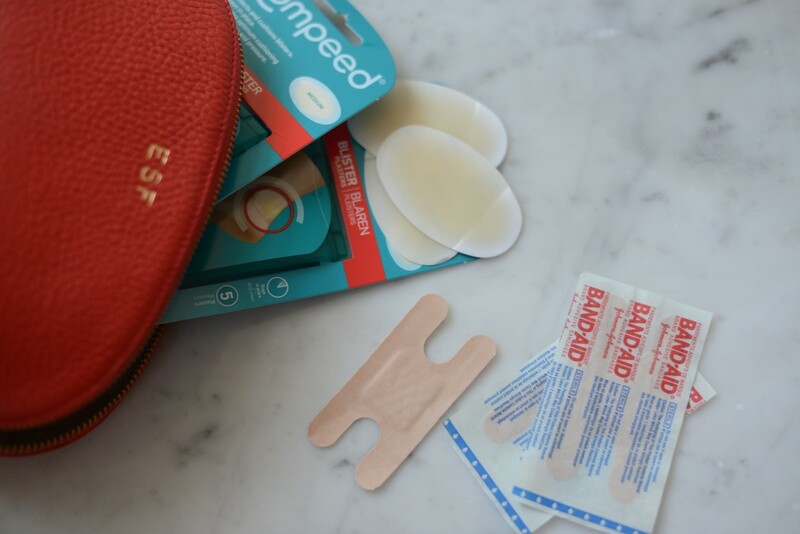 The best thing I&apos;ve learned is to prevent them from forming in the first place, so I apply Compeed Blister Cushions before heading out in the morning. They’re designed to fit like a second skin, and stay on for days, preventing and treating any nasty blisters. I also always keep Water Block Band-Aid Bandages in a compact beauty bag in my purse for minor cuts and scrapes that come with the wear and tear of walking miles a day. They’re 100% waterproof, which is great for traveling, no matter the climate. 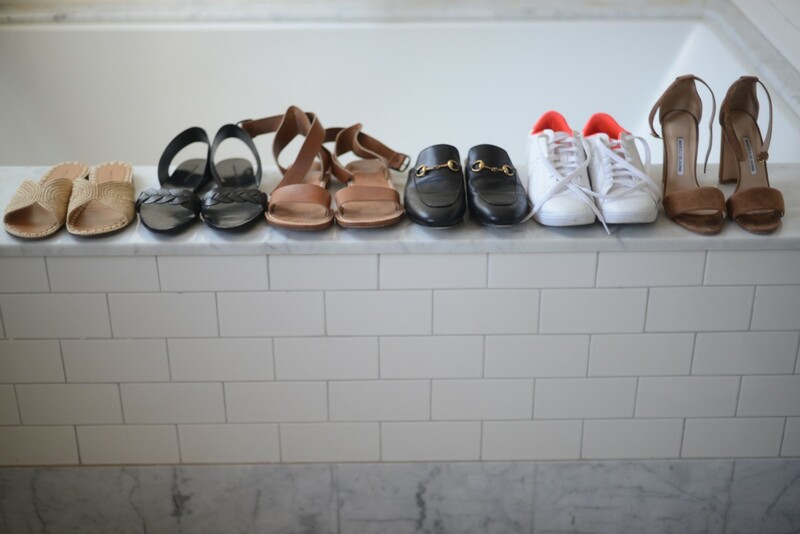 Every shoe I&apos;m packing for Paris is versatile and neutral. The only hint of color is from the slim peeks of neon peach on the white sneakers. This makes it very practical for me to grab a shoe effortlessly based on weather, time of day, where we&apos;re going, and how far the walk will be. They can each be worn with almost everything I&apos;m bringing, from a miniskirt or dress, to jeans and casual shorts. As you can see from the photo above, any one of the sandals works with this breezy printed maxi, which makes it easy to remix pieces for fresh looks. 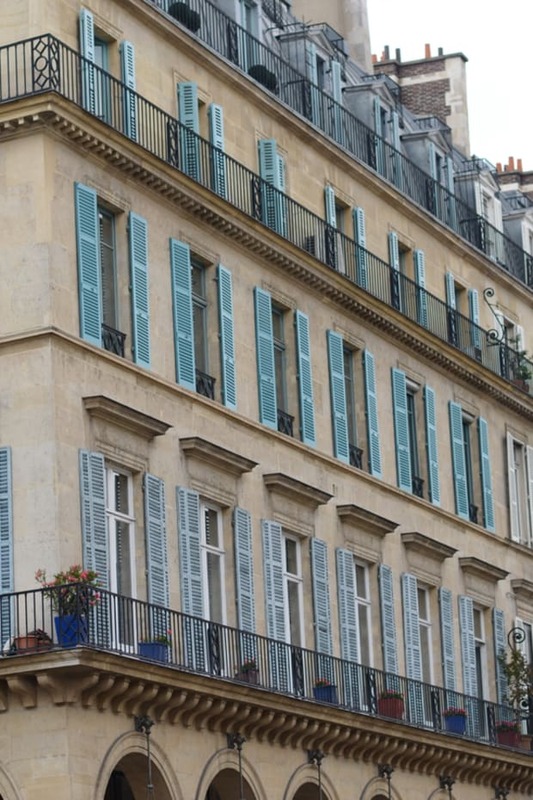 Paris is romantic, fancy, and full of photo opportunities. As much as I&apos;d love to envision myself waltzing around cobblestone streets in sky-high stilettos, it just doesn&apos;t make sense to bring along fanciful footwear. Realistically, I won&apos;t be able to get further than one block in a pair of heels that&apos;s prettier than they are practical. To save space in my suitcase for the most important thing—shopping—I forced myself to bring one nice pair of heels that can be dressed up or down. 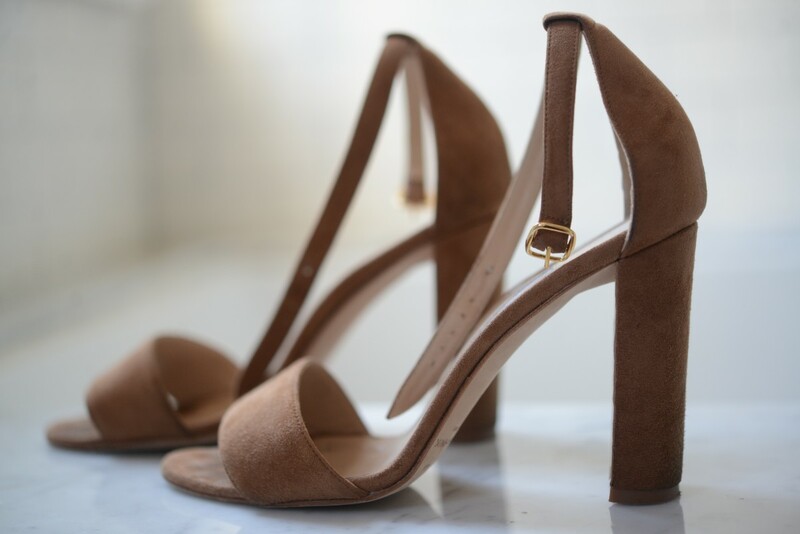 These buttery-brown suede favorites work with flowy dresses as flawlessly as with boyfriend jeans and a slouchy sweater. The heel is a blocky, sturdy heel that can navigate cobblestone jaunts and be worthy of cocktail hour at the swankiest hotel just the same. Packing all of your shoes in shoe bags is a simple but helpful tip Alina told me about and something I&apos;d never done before. She happens to do it because she&apos;s a germaphobe and is creeped out by the idea of billions of bacteria, dirt, and grime on the soles of your shoes getting up-close and personal with intimate things like lingerie in your suitcase. But I now use shoe bags as added protection from an exploding bottle of foundation ruining a beautiful pair of shoes. 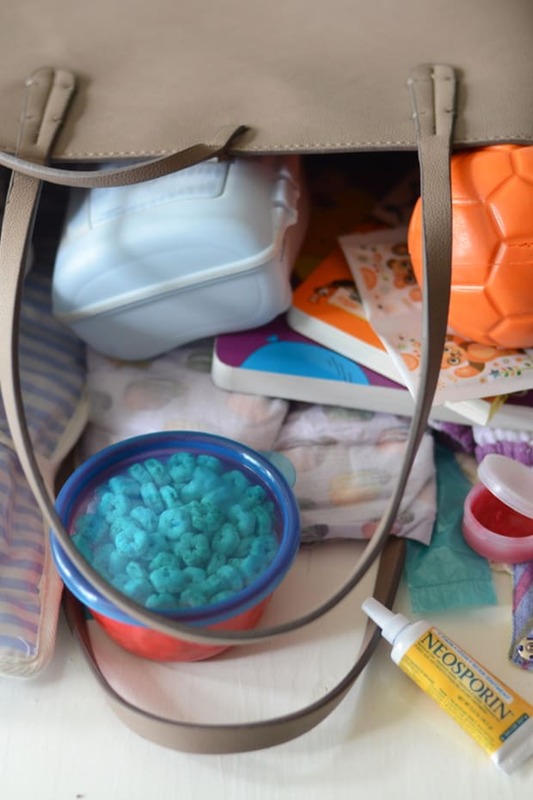 So whether you&apos;re germ-concerned like her, or beauty-disaster-concerned like me, your things will benefit from placement in shoe bags.